G.P. Putnam's Sons, 9780425253175, 448pp. Everything he’d seen had been unimaginably different from the dry, dour streets of home, and to his surprise he was not sorry in the slightest. He was smitten by the beguiling otherness of it all. And so began my grandfather’s rapturous love affair with America—an affair that would continue until the day he died. But above all, A Good American is about the music in Frederick’s heart, a song that began as an aria, was jazzed by ragtime, and became an anthem of love for his adopted country that the family still hears to this day. 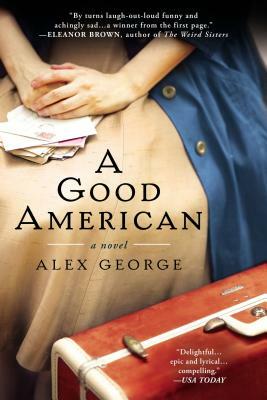 Alex George is an Englishman who lives, works, and writes in the middle of America. He studied law at Oxford University and worked for eight years as a corporate lawyer in London and Paris before moving to the United States in 2003.